Ask about our VA programs available to military personnel in Maryland, D.C., and Virginia. We'll be happy to present you with 100%, no money down options you qualify for. Has the BRAC (Base Realignment and Closure program) relocation brought you to the area? Get in touch with a specialist in Military relocation I will also be happy to put you in touch with a Realtor who specializes in the county and towns where you desire to live. When you use a VA Loan Officer found at choicefinance.net, they will offer you a standard $250 discount for every loan they close for military personnel, veterans, and familes. You can opt not to accept this discount and instead have Choice Finance give it as a donation in your name of $250 to Fisher House. *This does not apply to streamline loans, because we are already offering a discount. Not sure if you are eligible or are you looking for the steps to take to apply and receive your Certificate of Eligibility? Visit the VA's site for VA FAQ. Take advantage of your VA eligibility and purchase a home with $0 down or lower your current VA rate through the easy qualifying streamline refinance. The VA will not only allow the seller to pay all of your closing costs, you can also get the seller to pay 4% in addition to paying your closing costs. This 4% can go towards your escrow accounts, prepaid interest, buying down your rate, AND it can actually pay off your debts! If you also have a disabled status, your VA Funding Fee will be waived. Typically this VA Funding Fee is over 2% of your loan amount and is financed into your loan. There is no monthly mortgage insurance to pay. Whether you're active duty, retired, National Guard, etc... ask Brent what documentation will be needed upfront, so he may make copies and sign-off on your discount and donation before you start the process with him. As long as you qualify, it doesn't matter if you opt for VA or conventional financing to get your discount or donation. We will be honored to work for you and give back to you and your family. 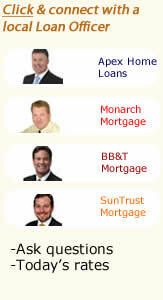 Brent looks forward to helping you manage your home purchase, refinance, or home equity loan. This Loan Officer with military ties wants to help you.